The LC-XG400 features high brightness and contrast, with a range of optional lenses, 0.8–11.3:1. It even has a simple push-button lens replacement, no dismantling required. The rear access lamphouse makes lamp change easy too. The LC-XG400 also features a one-way cooling system (1 in & 1 out port) that simplifies installation, and the front accessed high-capacity air filter simplifies maintenance. Both an LED and on-screen warning inform you when a clogged air filter is detected. 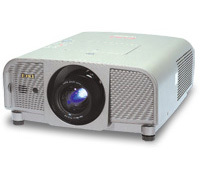 Through an optional Pj-to NetDirector, you can operate and control the projector. 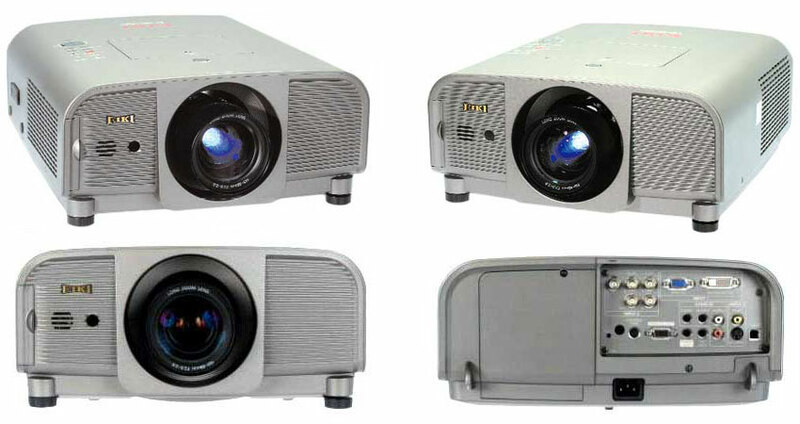 5000 ANSI Lumens, at 90% uniformity, and a 1000:1 contrast ratio. 3 panel LCD imaging delivers a rich, color saturated computer and video projection. Anti Keystone Power Lens Shift, Up Only 50%, ±15% left or right Cabinet Size (HxWxD) 6.46" x 13.7" x 17.5"